Received engineering doctor’s degree from the China University of Mining & Technology in 2000. Received engineering master’s degree from the China University of Mining & Technology in 1984. 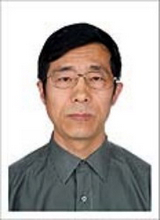 Received his bachelor’s degree from the Liaoning Engineering Technology University in 1982,. January 1985—March 2002,Teacher of China University of Mining & Technology. Operations Research, Management Mathematics Test, Planning and Design for Logistics Systems, Complex-system Theories and Methods, System Modeling and Optimization, Modeling and Simulation of Supply Chain systems and so on. Complex-system Modeling and Simulation, System Engineering, Decision- making Support System, Logistics and Supply Chain Management. Xiufeng Zuo, Yajie Wang, Qian Ran, Rui Cui. Emergency repositories network layout model and calculation．Proceedings of 2010 Sixth International Conference on Natural Computation．10-20 Aug 2010, Yantai, China. ZUO Xiufeng, ZHANG Zhenshi, WU Jun．Research on the Emergency Material Dispatching Model and Algorithm Based on POEM [J]．Chinese Journal of Management Science, 2010，Vol.18（Special），908-912. Zuo Xiufeng etc. Research on Rational Continuous Throughput of Underground Mines [J]. Journal of China University of Mining & Technology,2002,31(2). Zuo Xiufeng etc. UML Modeling and the Procedure Simulation of Workface[J]. Journal of Guizhou University of Technology(Natural Science Edition),,2002, 31(5). Zuo Xiufeng etc. Research on the simulation model of dynamic supply chain system[J]. Journal of Beijing Institute of Technology,2004,33(4). Zuo Xiufeng. Exploitation Disposition of high-output and high-efficiency mine and deep mine as well as its Decision Support System [M]. The publishing house of China University of Mining & Technology, 2000. Lin Zaikang, Zuo Xiufeng etc. Mineral Information and Computer Applications[M]. The publishing house of China University of Mining & Technology, 2002. Member of council of Beijing Engineering Management Institute.